YOUNGSTOWN – There will be a funeral service at 11 a.m. on Monday at the Gospel Temple Baptist Church for Mr. David Cathey, 90, who departed this life Monday, Sept. 14, 2015, at his residence. 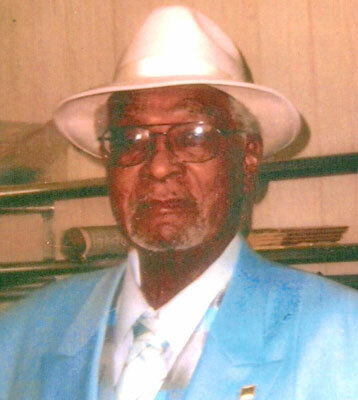 Mr. Cathey was born April 25, 1925, in Shelby County, Ala., a son of Samuel and Oler Wilson Cathey. He worked for the Youngstown Sheet & Tube Co., and was a member of the church, where he was a trustee and served on the usher board. His wife, the former Johnell Smith, whom he married in 1964, died June 12, 2006. He leaves a son, David H. Cathey of Pennsylvania; five brothers, Benjamin (Barbara) Cathey of Fayetteville, N.C., Ellis Cathey and Desey (Eva) Cathey, all of Youngstown, Jruby Cathey of Montevello, Ala., and James (Gwendolyn) Cathey of Birmingham, Ala.; two sisters, Jewel Peoples of Youngstown and Linda Brown of Cleveland; several grandchildren, including Donnie Elvoid, with the U.S. Army in Texas; several great-grandchildren; and a host of nieces, nephews, other relatives and friends. He was preceded in death by his parents; a brother, Lester Cathey; and two sisters, Elizabeth Cathey and Willie Ree McCary. Friends may call from 10 to 11 a.m. on Monday at the church. Arrangements are being handled by the F.D. Mason Memorial Funeral Home.